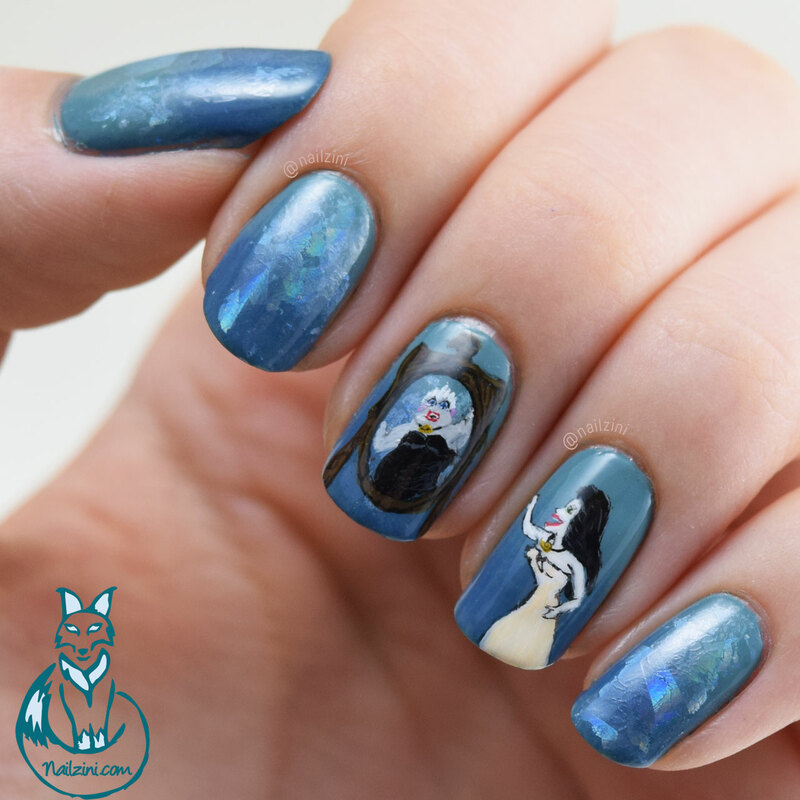 After doing Halloween nails all month, it's is finally here! Happy Halloween everyone!! 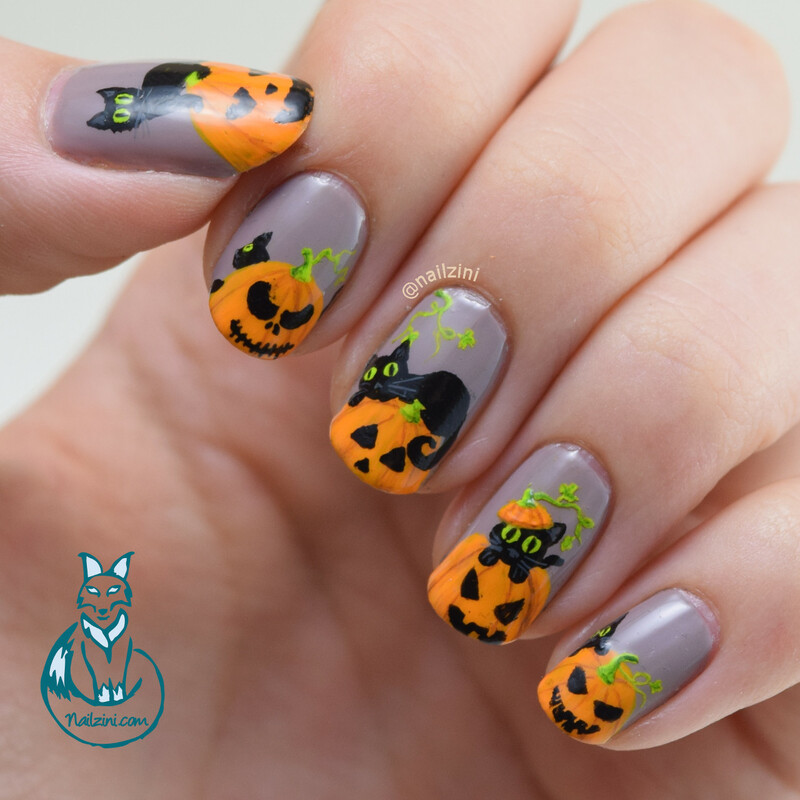 I've mostly stuck to cute Halloween themed nail art, because why not right? 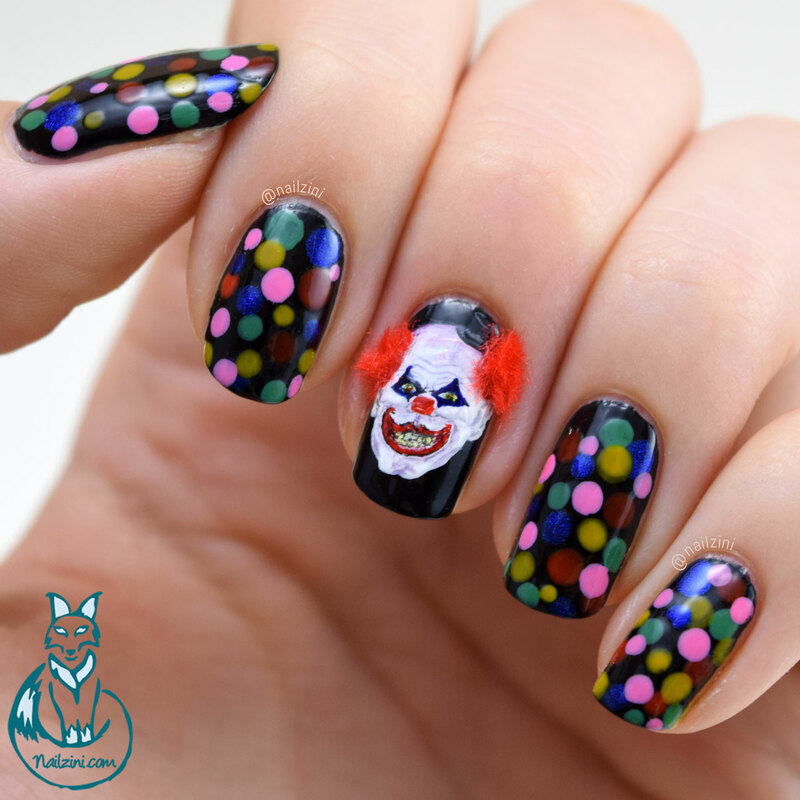 But for today it's time for some actual scary nail art and what's scarier than creepy clowns, or even normal clowns. They're often used for children's entertainment, but for some reason they scare the bejesus out of so many people. 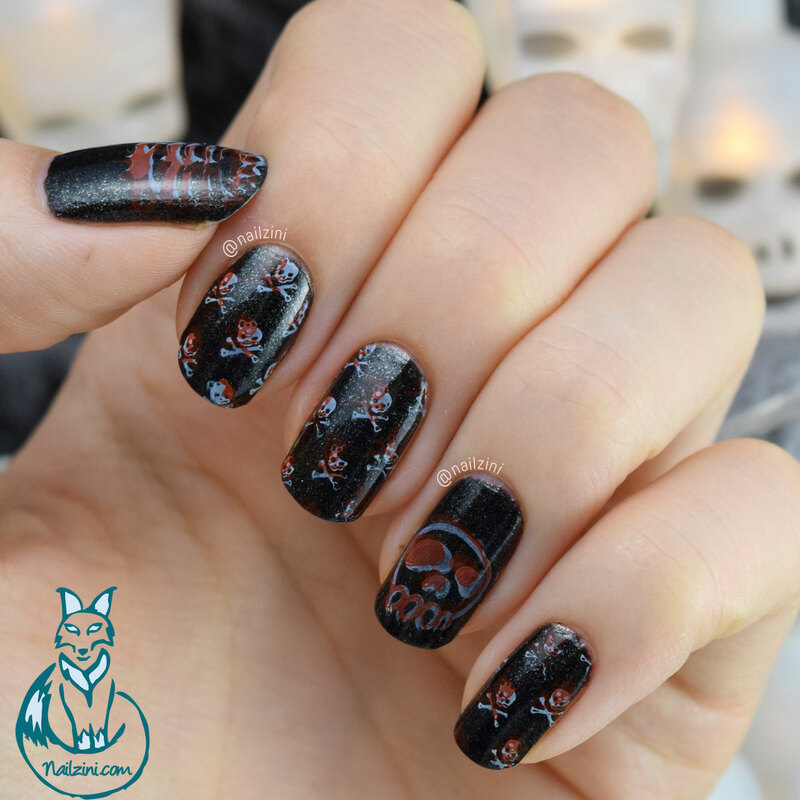 After yesterday's amusing rainbow project it's time for some actual bones nail art for the Clairestelle8 Halloween challenge. I wanted to do some fun, cute nail art for this one and was inspired by an adorable image I found on google. Maybe not really Halloween themed, but today's prompt for the Clairestelle8 challenge is witches so it still sorta fits, right? The Little Mermaid is probably my favorite Disney movie, so when I had to think of a witch design Ursula was the first to come to mind. Time for another challenge for #clairestelle8halloween! 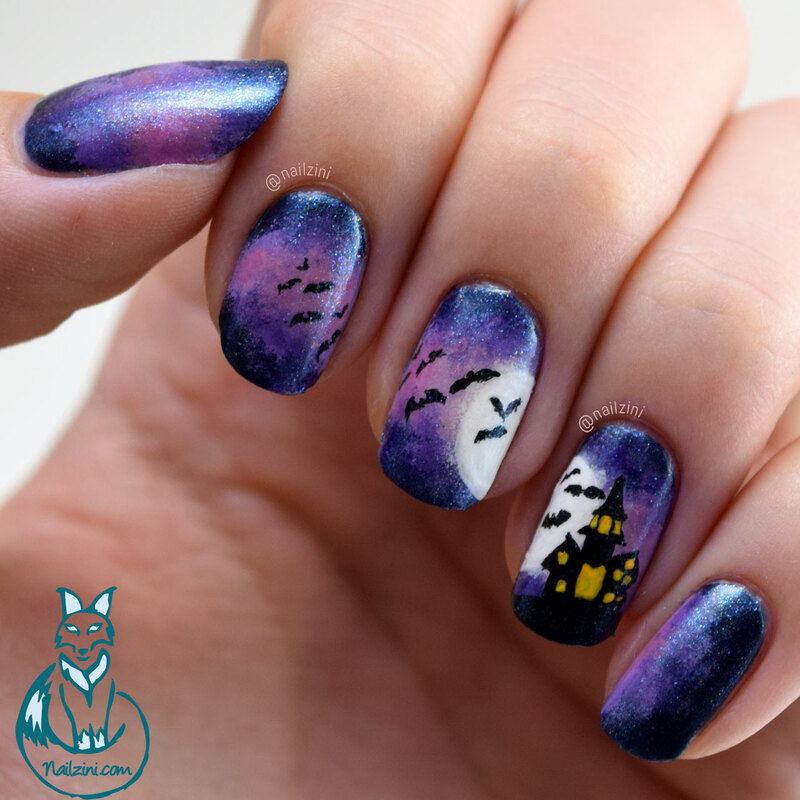 This time it's all bout bats and while I was browsing to get some inspiration I found this gorgeous image with a little haunted house. It had the most amazing purple clouds that I couldn't get enough of so here they are! Yesterday's prompt for the Halloween challenge by Clairestelle8 was Skulls. I've been seeing double stamping around Instagram for a while now and it always looks so amazing I had to give it a try! 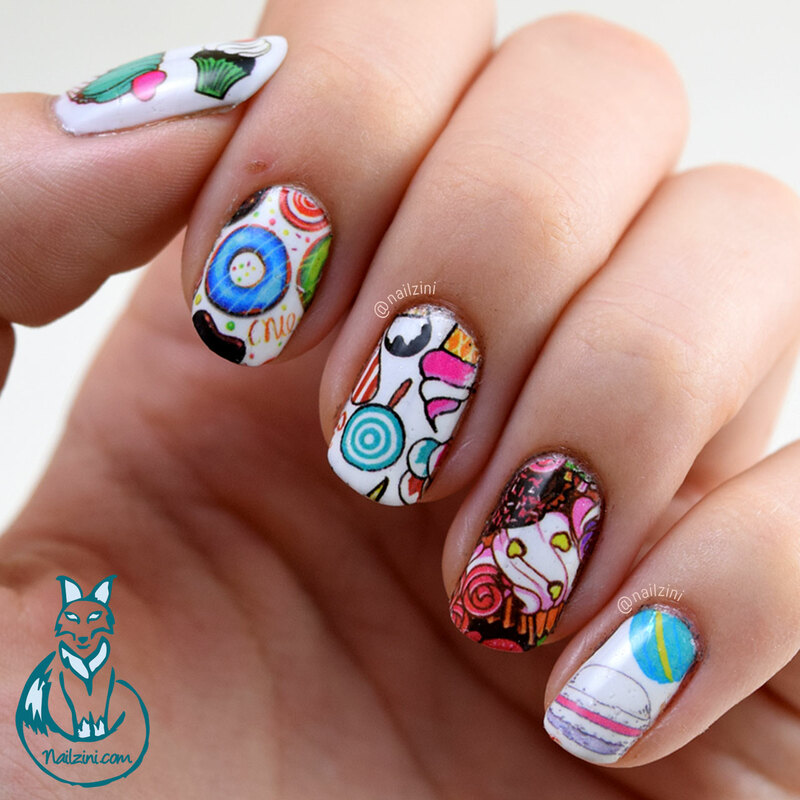 What if you could have all the sweets you like... on your nails! Look at all those mouth-watering treats! I don't like that many sweet things, but these decals have all my favorites: ice cream, cupcakes, and of course donuts. Who doesn't love donuts, right? 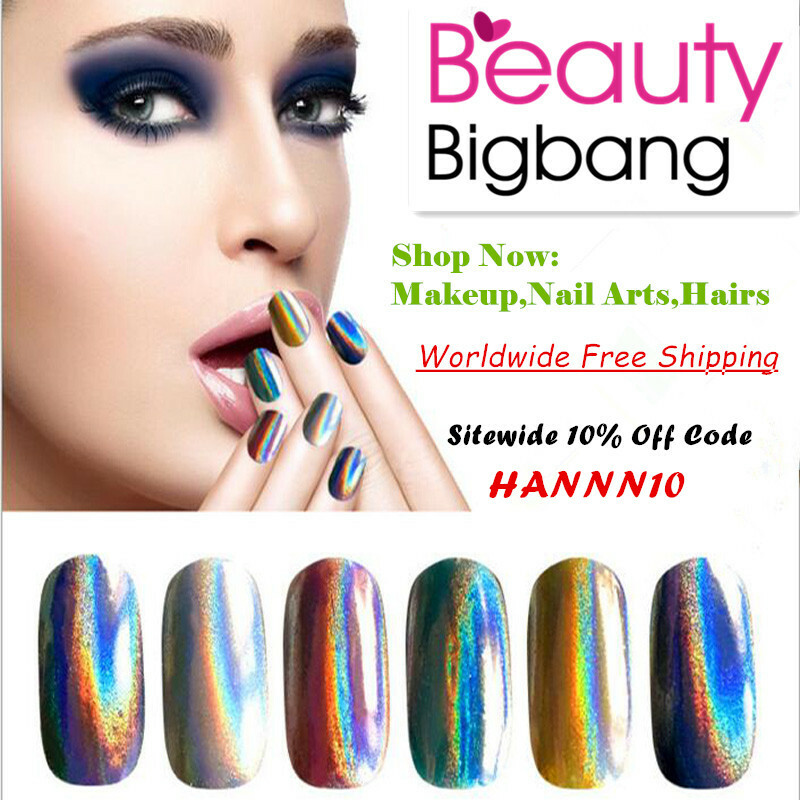 I recently received some more items from the lovely Cynthia from Born Pretty Store to review for you all. This time it's mostly decals which I've never used before so I'm excited to try them out! 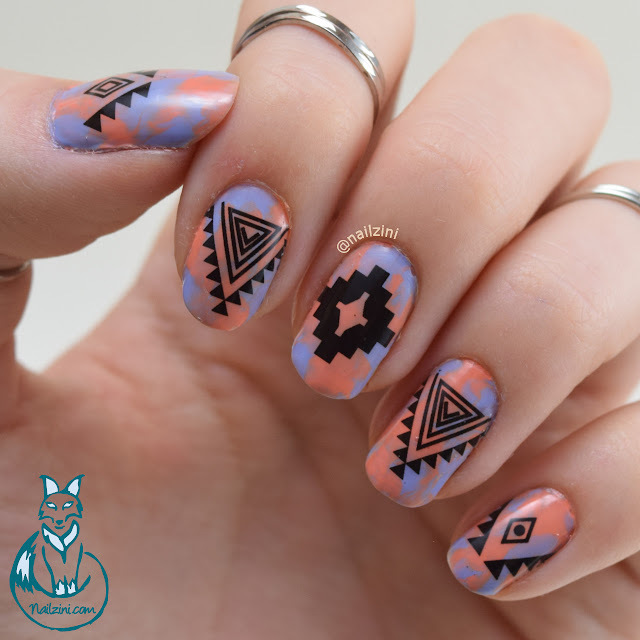 The first are these awesome black tribal water decals. It's already October again, and just like every store we start the Halloween theme early! 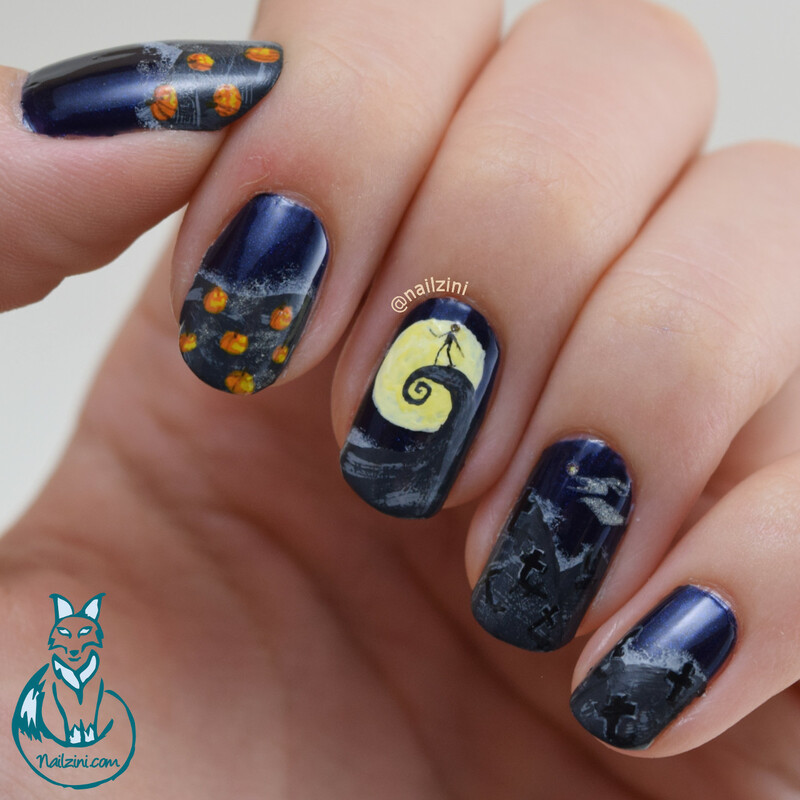 This month I'll be taking part in the Clairestelle8 Halloween nail art challenge. Since there are 9 prompts in total I probably won't get to them all, but I'm gonna do as many as I can. I haven't done a challenge since NAFW so I'm excited to start this one, who else is joining this month? !